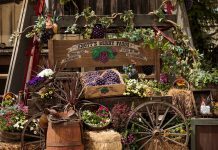 Running now through April 23, the Boysenberry Festival is a seasonal food and entertainment festival at Knott’s Berry Farm that centers around the park’s long lineage with the boysenberry plant. 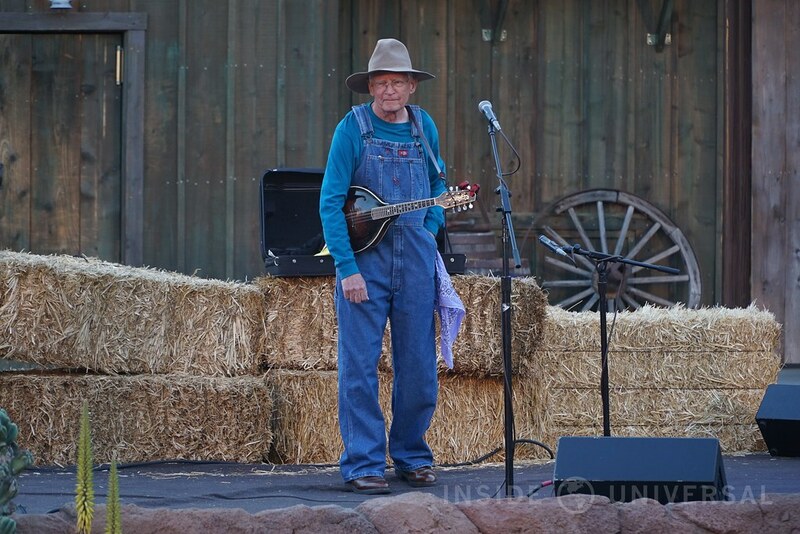 While the event primarily focuses on a variety of boysenberry treats (such as boysenberry buffalo wings, boysenberry meatballs, and boysenberry fry bread among many others), the seasonal event also offers a hearty selection of entertainment across the park. 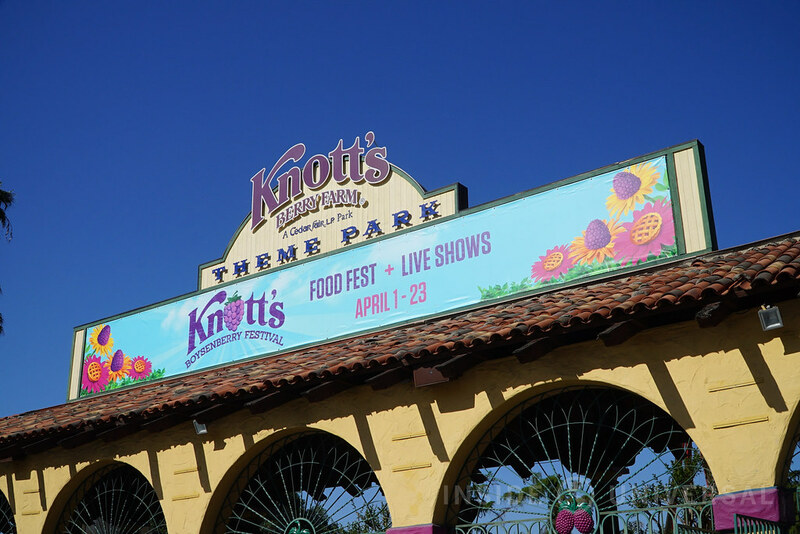 Knott’s was kind enough to invite Inside Universal for a special look at their annual festival, and today, we’re going to take a look at this unique seasonal event. One of the hallmarks of the Boysenberry Festival is, of course, the food! 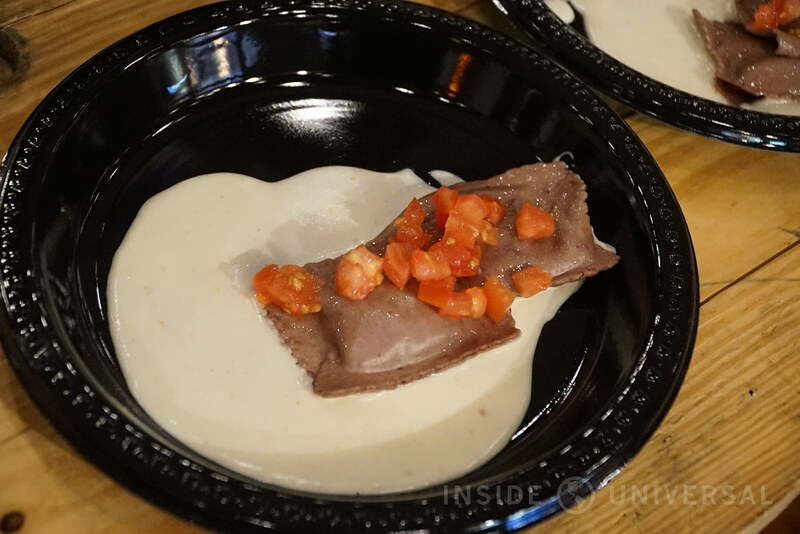 Like Disney California Adventure’s Food & Wine Festival, Knott’s offers a $25 tasting card with six options: Boysenberry BBQ Meatballs, Boysenberry Fry Bread, Boysenberry Buffalo Wings, Boysenberry Ravioli, Boysenberry Panna Cotta and Boysenberry Pizza. If you do the math, that works out to be a little over $4 per dish – a relatively affordable price given Disney’s exorbitant $45 Annual Pass Sip and Savor Pass which gives you access to eight dishes. Simply purchase your card at a kiosk, and find the corresponding food counter with your card in hand. Based on our experience, purchasing the card in advance will save you considerable time. With that out of the way, let’s take a look at the food. But let me start with a small disclaimer: I’m not a food reviewer, or someone that’s especially cultured when it comes to flavor and seasoning. I’m not going to be able to describe various textures and nuances associated with each dish, but I will be able to describe some fundamentals that I hope you’ll find useful. Thanks for your patience in advance. 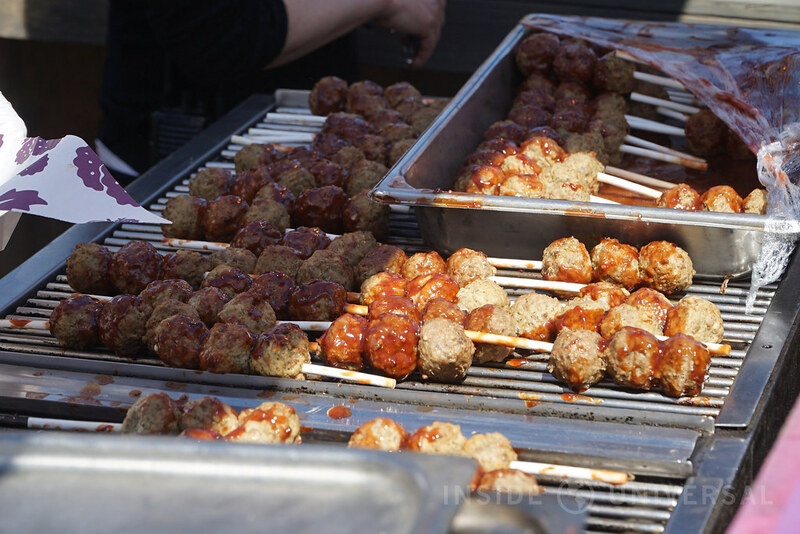 Doused with boysenberry sauce, the Boysenberry BBQ Meatball plate comes with three large meatballs on a stick. As someone that’s not a fan of sweet plates, the boysenberry meatballs were surprisingly good. They’re not as sugary or sweet as you’d expect, and the boysenberry sauce adds enough of a tang to make them a unique offering. 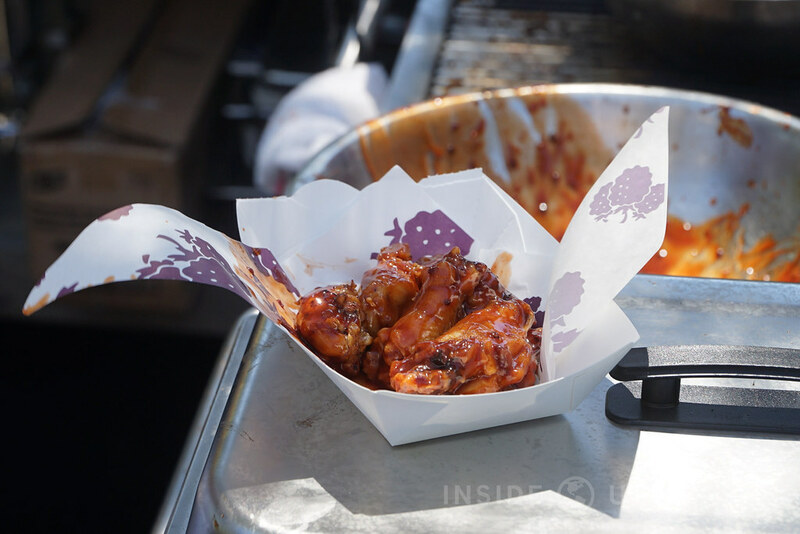 In similar fashion to the Boysenberry BBQ Meatballs, the Boysenberry Buffalo Wings remind me of traditional BBQ buffalo wings with a hint of boysenberry (surprise, surprise). With their meat-based dishes, I get the impression that Knott’s tried to soften the boysenberry flavoring to prevent the sweet sauce from overpowering the meat. Again, as someone that’s usually not a fan of sweet dishes, the buffalo wings managed to offer a hint of boysenberry without becoming overwhelming. If you’re a fan of BBQ buffalo wings, I also suggest giving this a try. Among the more interesting dishes on this list, the Boysenberry Ravioli is ravioli infused with a hint of boysenberry. I’m not sure how this dish is made or how boysenberries are used, but you can definitely taste (and feel) the boysenberry seeds embedded within the ravioli. For some, this may be an uncomfortable sensation, but for me, this dish worked surprisingly well. Like many dishes sampled so far, this offering isn’t as sweet as you’d imagine for such a sweet tasting berry. A special dish, the Boysenberry Fry Bread is – as its name implies – frybread with boysenberry stuffing. 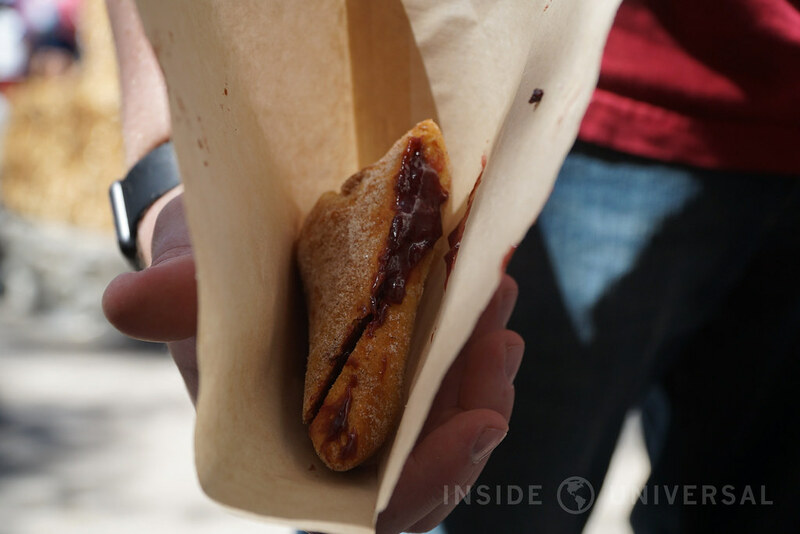 Featuring a churro-like exterior and a gooey warm boysenberry interior, the Boysenberry Fry Bread is a delectable treat that’s also incredibly messy to eat. It’s one of the sweeter dishes at the festival, so I recommend either trying it last to top off your tasting card, or (if you’re like me) trying it first so you can compliment them with a non-sweet dish. A special take on the classic Italian dish, the Boysenberry Panna Cotta is a boysenberry cream and gelatin dish with almond crumble. Like the fry bread, the Knott’s dish offers a unique, though not overbearing take on a familiar dish. 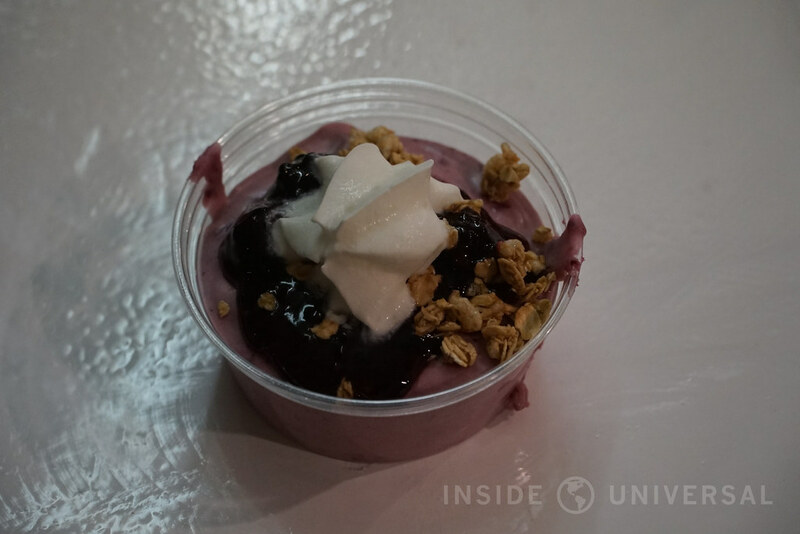 The combination works, and the Boysenberry Panna Cotta turned out to be one of our favorite dishes – a must try. 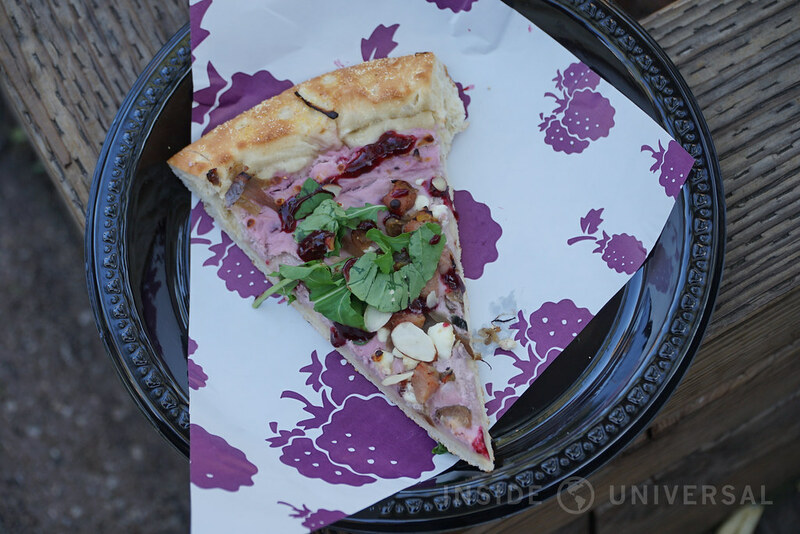 Perhaps the most controversial item at the festival – at least for us – has to be the Boysenberry Pizza. Featuring a relatively heavy boysenberry flavor, the pizza’s texture seemed to resemble cream more so than pizza, producing a very odd texture that didn’t seem to work. I wasn’t a fan of this one, and the texture of the dish just seemed off and foreign. Perhaps you’ll like this dish more than me, but the consensus among our group was mixed at best. Still, we always recommend trying every dish since taste is always subjective. While not offered on the taste card, the Boysenberry Cream Soda is a sparkly soda infused with boysenberry. It’s a delicious treat, and I highly recommend getting the chilled version to accompany your taste testing session. 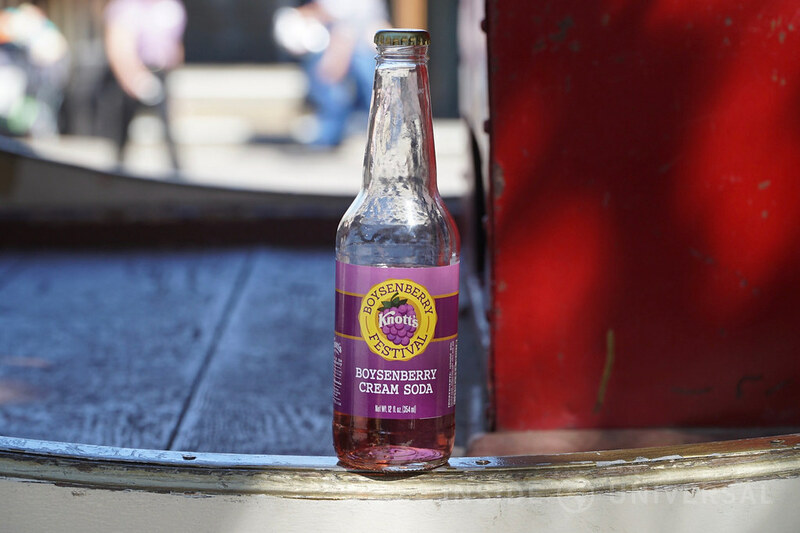 If you’d like to take the drink home, Knott’s also offers bottled Boysenberry Cream Soda for safe transfer. 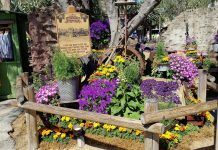 While the Boysenberry Festival features a heavy focus on food, Knott’s also offers a surprisingly large selection of entertainment across the park. 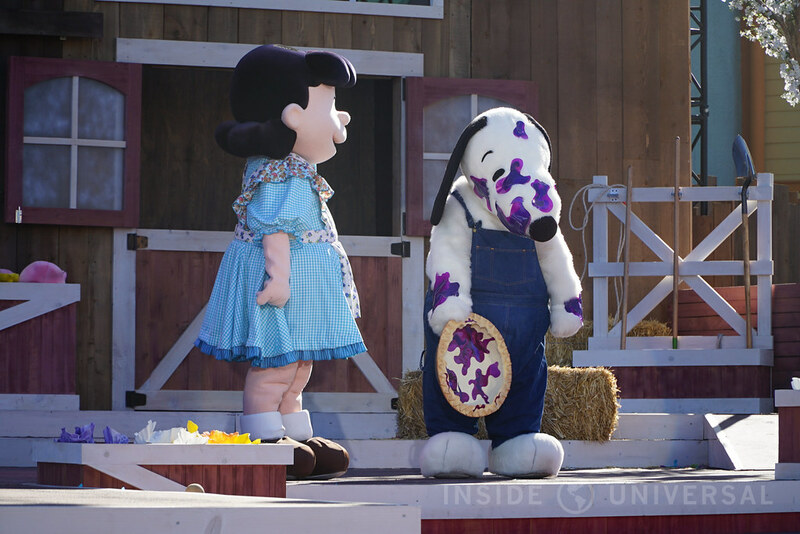 While shows like Krazy Kirk & the Hillbillies continue to be Knott’s staples, new shows – like Snoopy’s Boysenberry Jamboree! – are strong hits. Let’s start with the familiar, followed by the new. 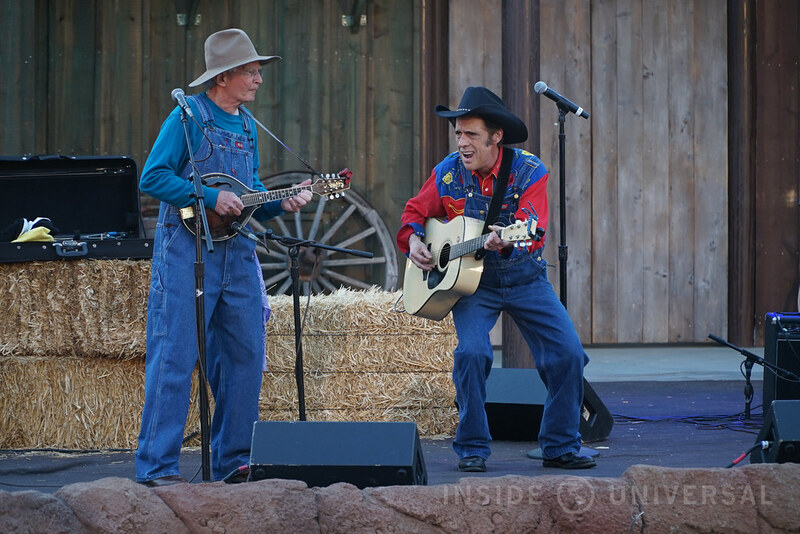 A fan favorite, Krazy Kirk & the Hillbillies features a four-member band playing country music on the main Frontier Feats of Wonder! Stunt Show stage. 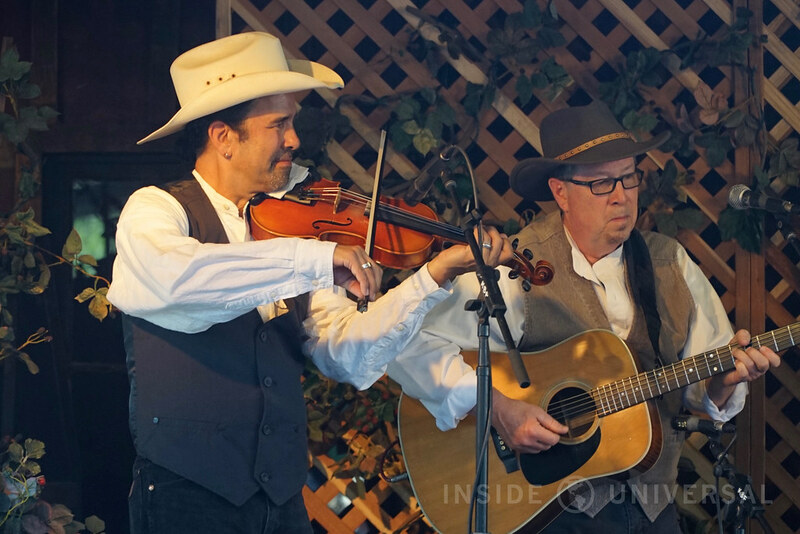 While the band has had a residency at Knott’s for the last several months, their appearance on a larger stage seems to have worked well during the Boysenberry Festival, allowing them to draw substantial crowds in the larger venue. With that being said, there’s an obvious divide between Krazy Kirk fans and other guests who managed to stumble inside the theater, with the latter sometimes walking out early during Krazy Kirk’s 30 minute set list. While I’ve grown to especially enjoy their show (and particularly Anders Swanson), I do wonder how Knott’s can begin to bridge the divide. The show doesn’t deserve to experience walkouts, and it’s a shame that it does. 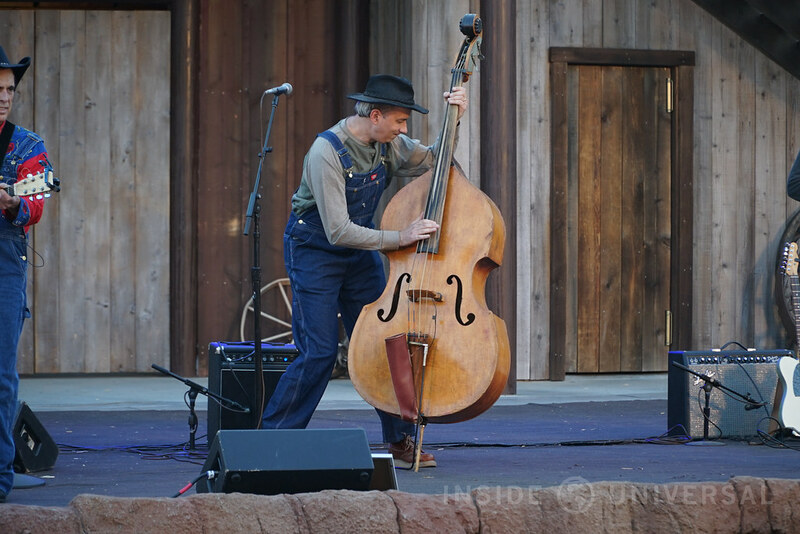 With that in mind, Krazy Kirk & the Hillbillies are certainly worth your time, and their entertaining antics are always enjoyable to watch on the larger – and more flexible – stage. Another year-long experience (and though not technically part of the event itself), the Frontier Feats of Wonder! 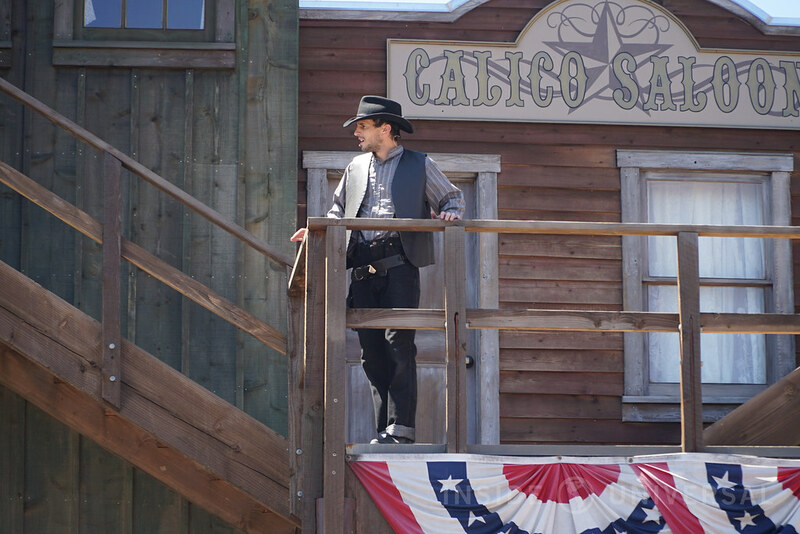 Stunt Show is Knott’s latest take on their decades-long tradition of hosting a Wild West stunt show. While I’ve never been a particular fan of their offerings in the past, their latest iteration is pretty effective. Featuring a live (!) 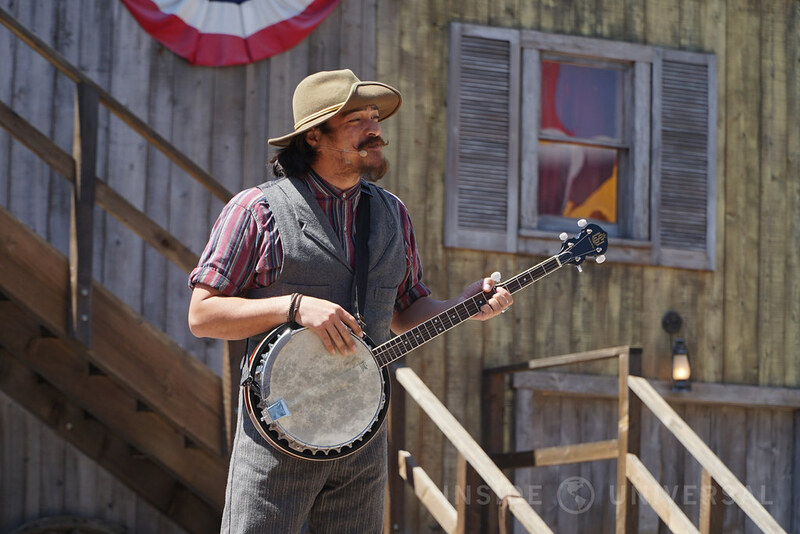 banjo player, the show revolves around Colonel Randall Hawkins and the Mayfield bandits. 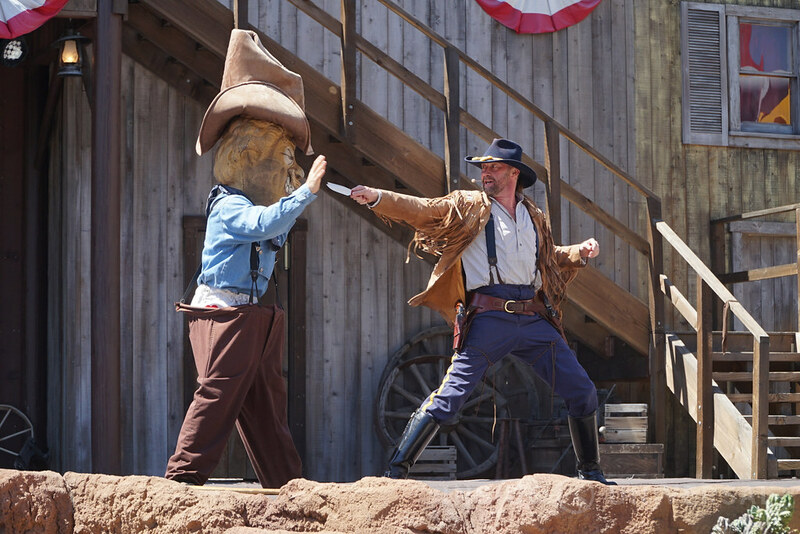 While previous shows at Knott’s used to mimic Universal’s venerable Wild Wild Wild West Stunt Show, this iteration features an entirely original story with a flurry of stunts and special effects that makes the show worth your time. While the neighboring coaster does intrude on the show’s atmosphere periodically, the Frontier Feats of Wonder! Stunt Show stands as one of the last remaining western-themed park stunt shows in Southern California. Continuing with the event’s old-charm feel, the Boysenberry Festival also offers a series of fun and games primarily aimed for children. Activities include dancing and pie-eating contests, if your child is a smash-your-head-into-pie enthusiast. 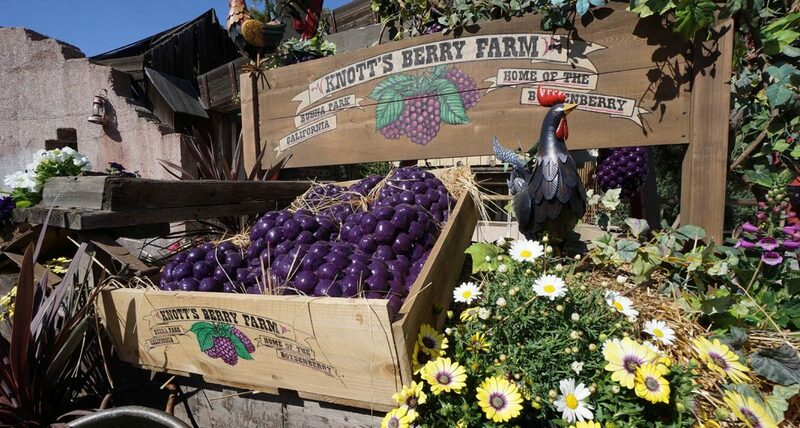 An informative documentary being shown in the Ghost Town Town Hall, The History of Boysenberry & Knott’s Berry Farm offers a nice holistic look at the lineage of boysenberry and how it relates to America’s first theme park. This isn’t a theater experience, mind you, but this is an opportunity to learn about a theme park’s celebrated past. 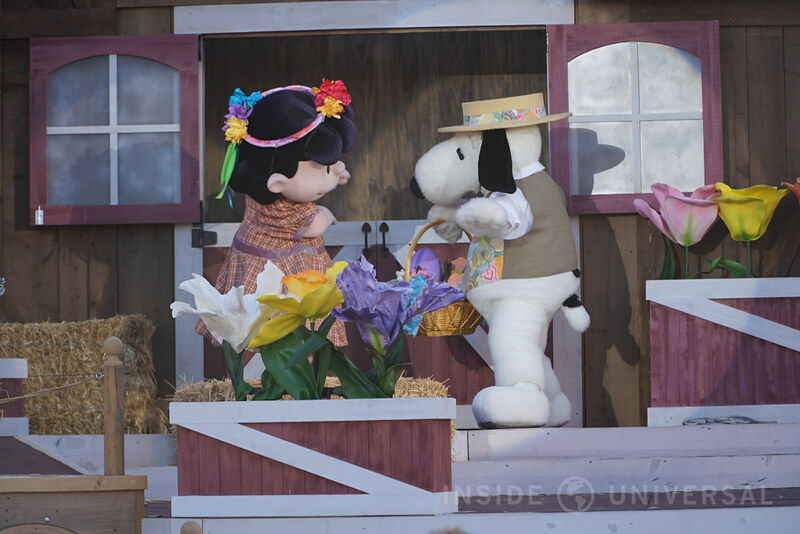 Knott’s main show on the Calico Square Stage, Snoopy’s Boysenberry Jamboree! is a compilation of live music and pageantry that’s akin to a production at Tokyo DisneySea than anything we might see in the states – and that’s a good thing. Featuring a great (and surprisingly large) cast of singers and dancers, Snoopy’s Boysenberry Jamboree! 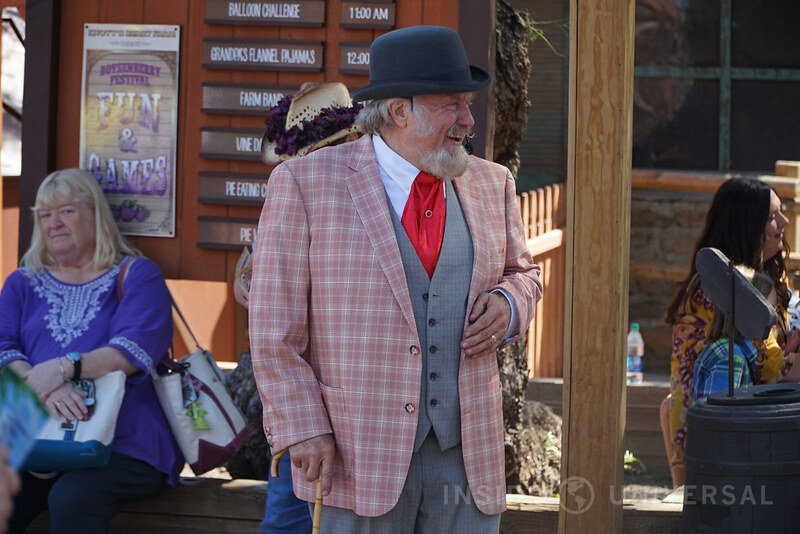 continues Knott’s emphasis on squeaky clean fun with an aw-shucks attitude that never fails to charm. 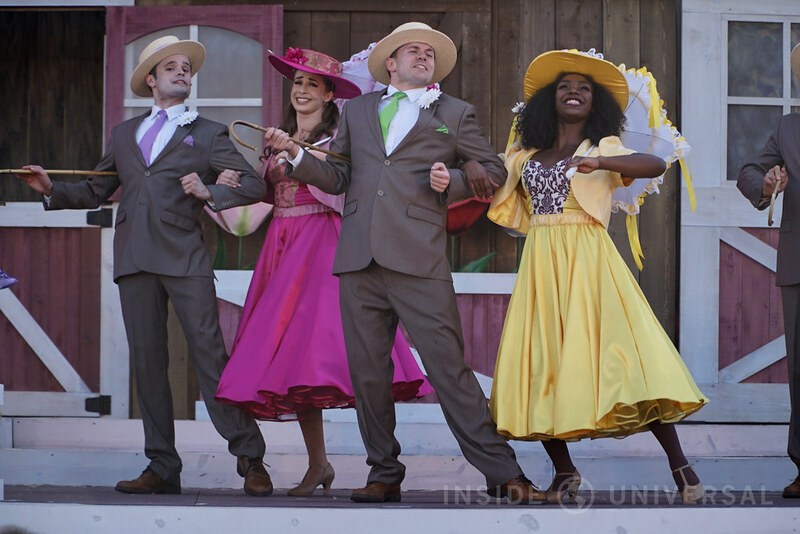 While this type of production might seem foreign in our cynical world filled with sarcasm and innuendo, the show works incredibly well in the context of the Boysenberry Festival. 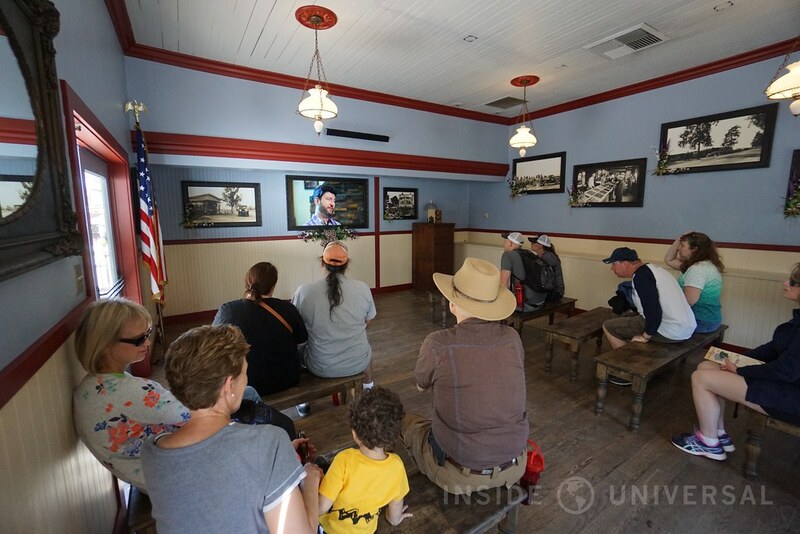 On top of that, the show – on its own merits – is well-produced, again showing that Knott’s is more than capable of punching well above their weight class when it comes to creating an effective show experience that well-surpasses Universal and even rivals Disney. If I had a complaint, it’s that the show’s seating arrangement needs to be changed. While audience participation is always nice, it shouldn’t be at the expense of capacity and comfort. The Calico Square Stage is a good venue, but it’d be lovely to have a slanted seating area to accommodate a large number of guests. 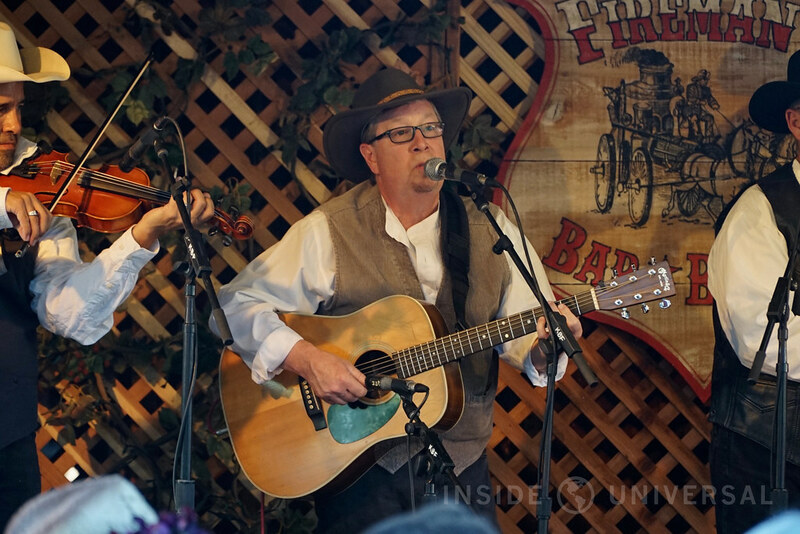 A small show, the Ghost Town Miners provided comfortable live music to dining patrons near the Fireman’s BBQ Stage. In an age of loud shows, it’s nice to watch a show with minimal amplification. Word of warning – the stage isn’t truly elevated, so don’t be surprised if you encounter several obstructions while you try to watch. Along with the aforementioned shows, Knott’s also features two dance parties. While they appear to be a hit with teenagers, they also seem woefully out of place in an otherwise focused event. 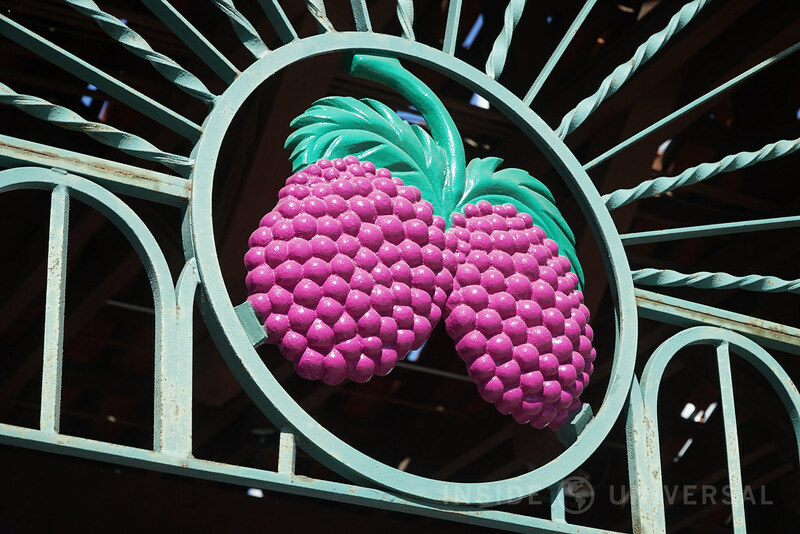 Since neither dance party intrudes on the Boysenberry Festival, its inclusion in the Boysenberry Festival roster is ultimately no big deal, but we recommend skipping both if you’re short on time. In closing, Knott’s Berry Farm continues to offer a strong seasonal event with this year’s Boysenberry Festival. 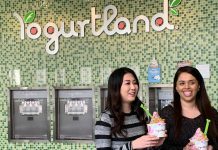 Not only is the food relatively affordable (especially by Disney’s standards), but this year’s entertainment remains strong, with a minor non-sequitur here and there. 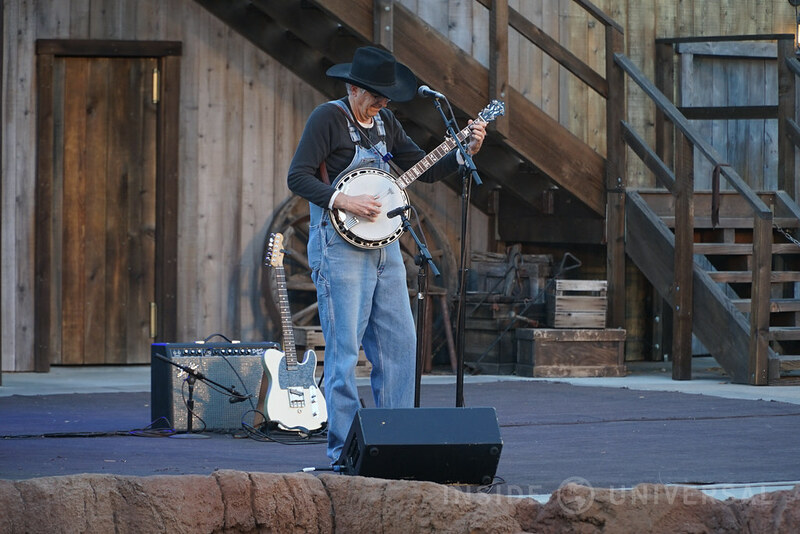 Perhaps more importantly, the creative team at Knott’s also managed to find a way to connect their storied past with a compelling seasonal event that remains authentic to who they are – America’s first theme park. My only wish? Nix the dance parties, and focus more on inclusive family fun. Full disclosure: Knott’s Berry Farm provided Inside Universal with complimentary admission for two to the event, along with two tasting cards and a scavenger hunt bag with assorted goods. This had no bearing on our review.